We were very lucky to receive a very large donation of high quality books from Nishimachi International School yesterday. 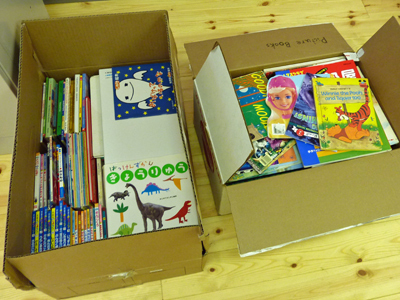 The donation totals 252 books and includes English, Japanese, and French titles in both fiction and non-fiction. We are extremely grateful to Ms. Tammy Hayano of Nishimachi International School and her Grade 3 class for arranging to send the books to our school. We promise to put them all to good use!